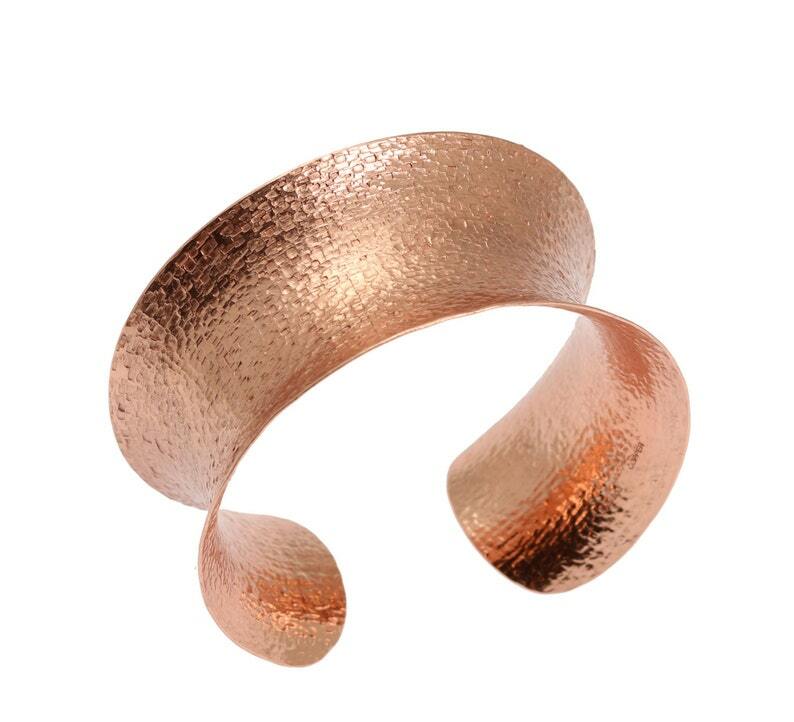 Are you looking for a wide contemporary copper cuff that is sure to make a statement ? This handmade copper beauty will quickly become your ultimate favorite! 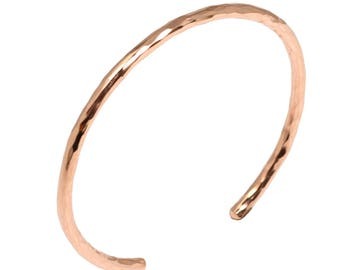 With its captivating texture and sparkle, this Texturized Copper Cuff is poised to be your next big style hit. With its sleek Anticlastic design, wear it with everyday casuals, or when it's time to be the center of attention. Makes a great 7th Wedding Anniversary present! - Handmade from 20 gauge Copper. - 1 1/2 inches in Width, Select Size/Length from the Drop Down box. - Opening is approximately 3/4 inches wide. - Fits a medium to large sized wrist. - Protective coating applied to resist tarnish.